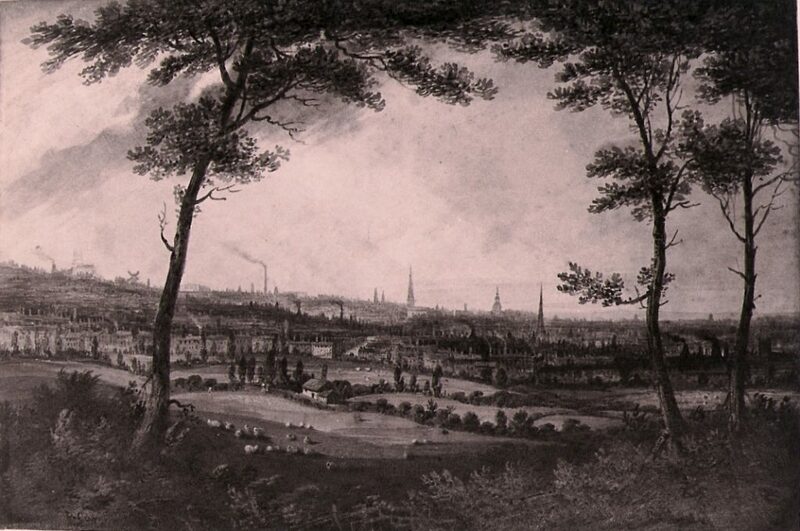 During the 18th century Birmingham grew extremely rapidly. Its population grew from about 15.000 in 1700 to 70.000 in 1800. 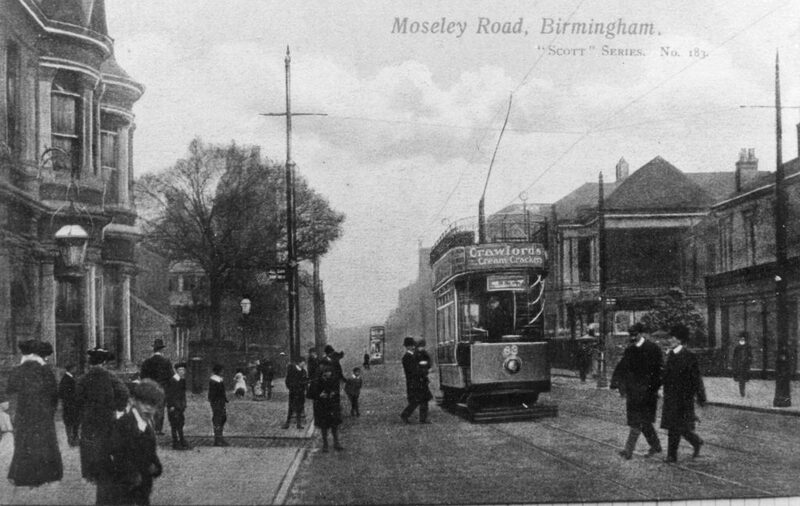 Balsall Heath was mainly farmland some distance away from Birmingham. However, the people moving into this developing town needed food from the countryside and the route from the Vale of Evesham lay across the heath. 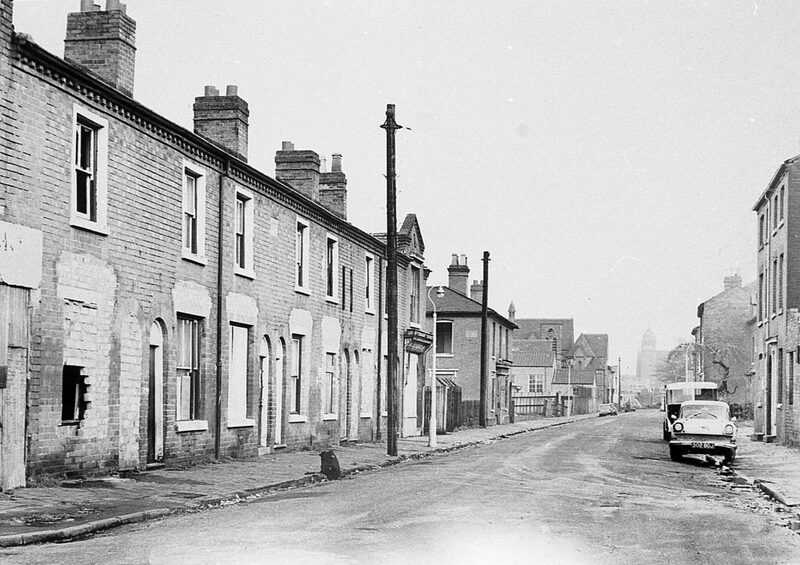 As Brmingham town continued to expand, surrounding countryside became increasingly attractive to developers. 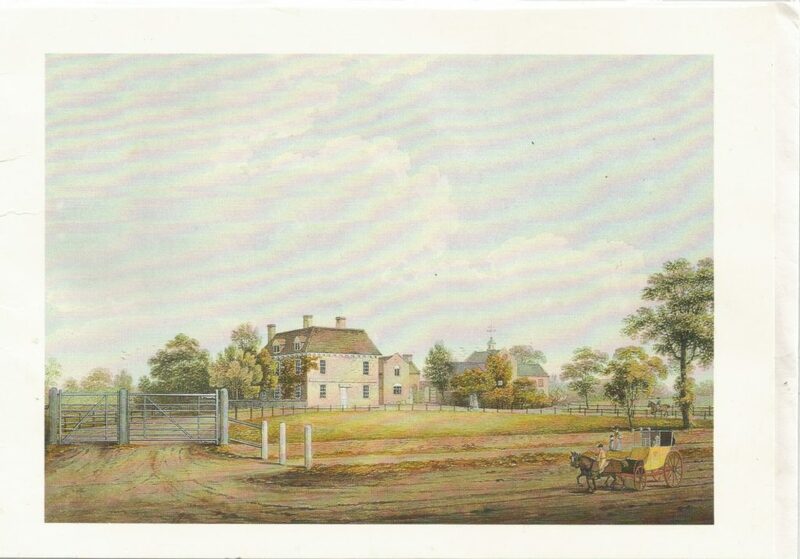 The Edwards Estate was one of the first to be sold off in 1833: a network of roads was built, lined with villa residences. 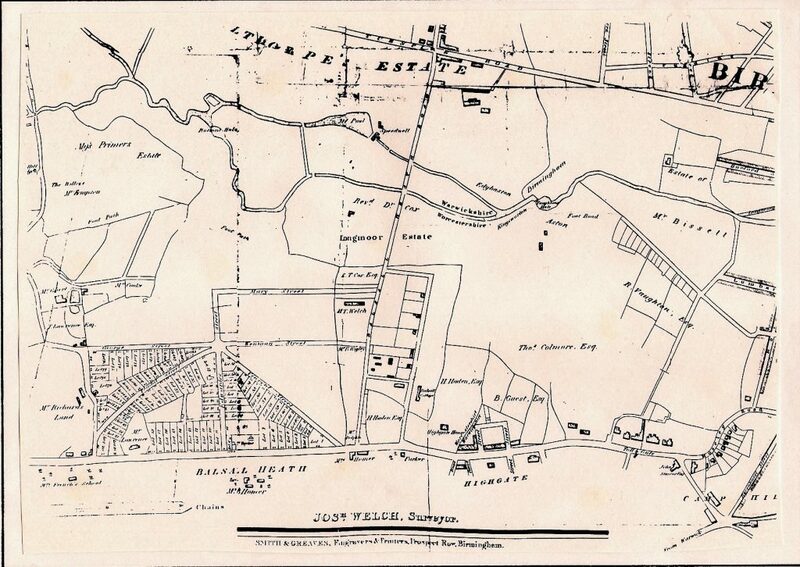 Development was spurred on by the railway , forging its way through the area, with a station at Camp Hill in 1840, near the present the Highgate Road junction. On 1st June 1857 Calthorpe Park was opened, the land having been donated by Lord Calthorpe. Balsall Heath Park opened in 1894. 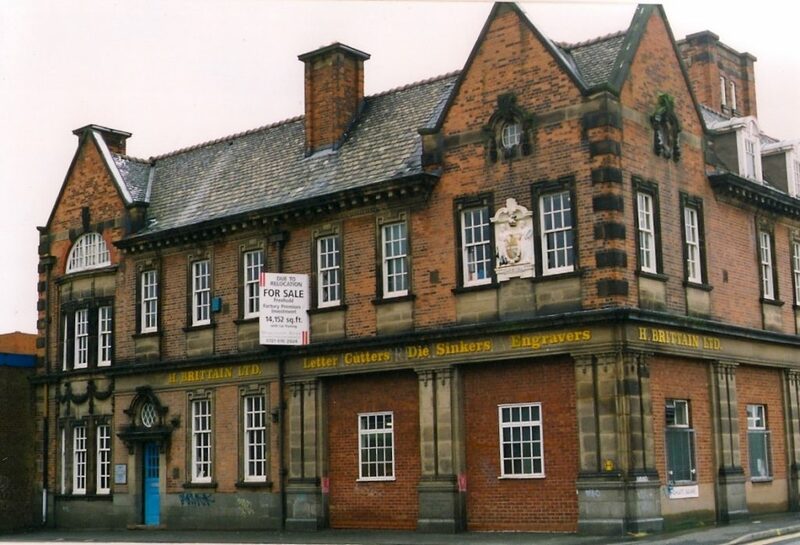 From the 1850s many gracious buildings sprang up along the Moseley Road. 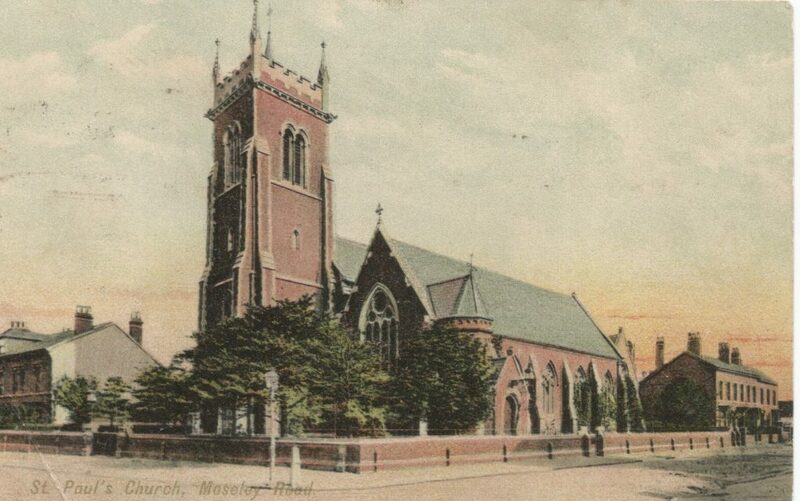 A Methodist Church at the corner of Lime Grove in 1872 (destroyed by bombing in WW2 but rebuilt). 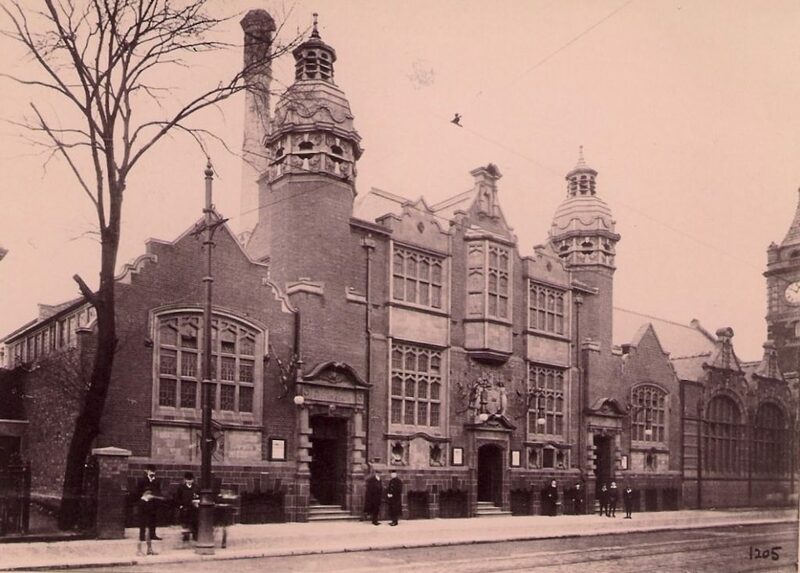 Still surviving, the Moseley and Balsall Heath Institute from 1883 and the Friends Institute in 1899. 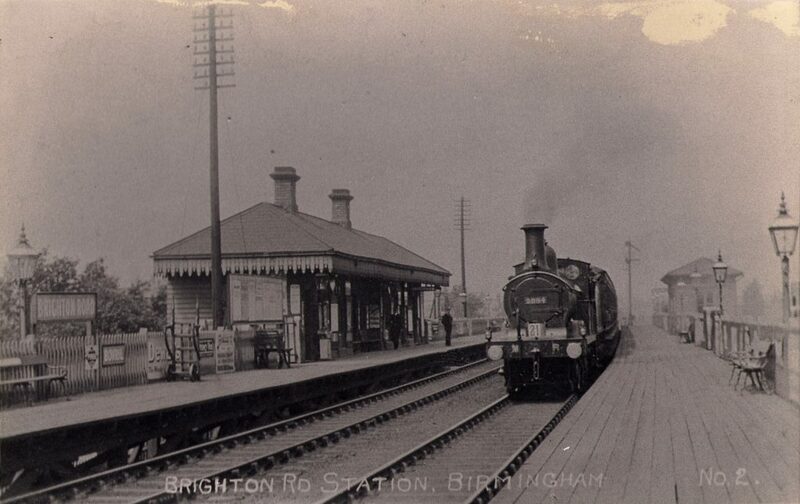 Trains ran from Brighton Road Station from 1885. 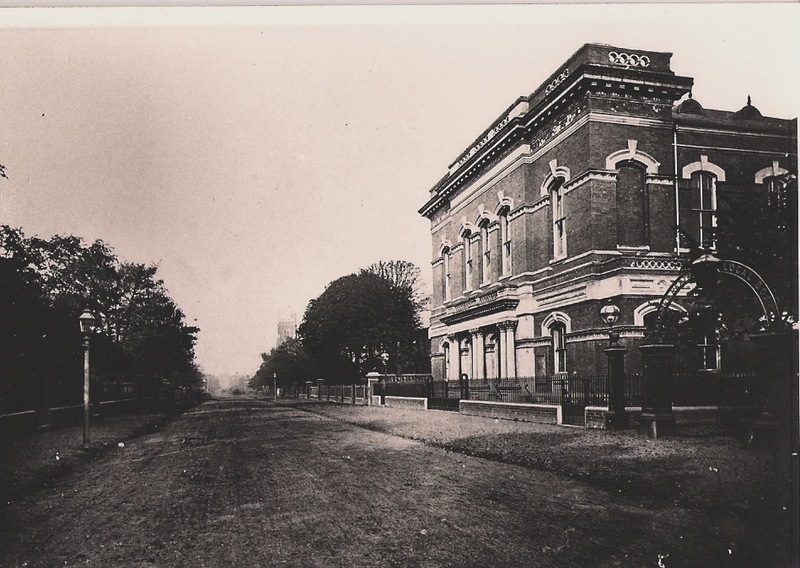 Until 1862 the area was part of Kings Norton parish but then acquired its own elected governing body. 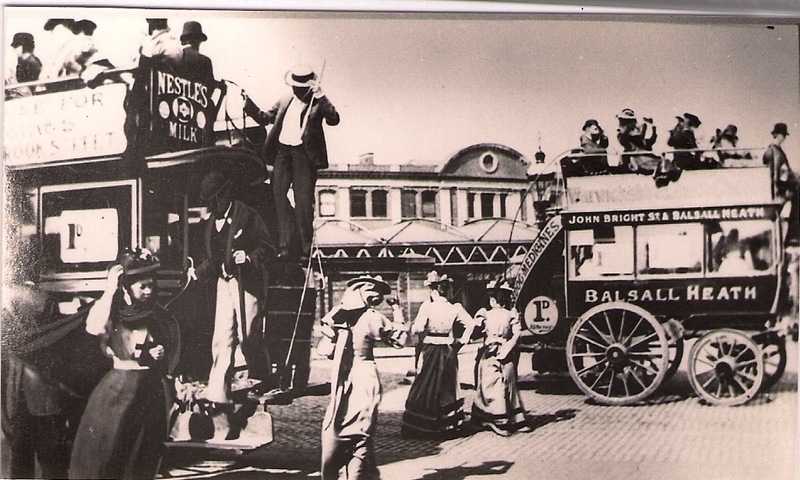 The Board of Health raised rates, put in a sewage system and water supply, set building regulations, cleaned the streets and established a fire brigade. 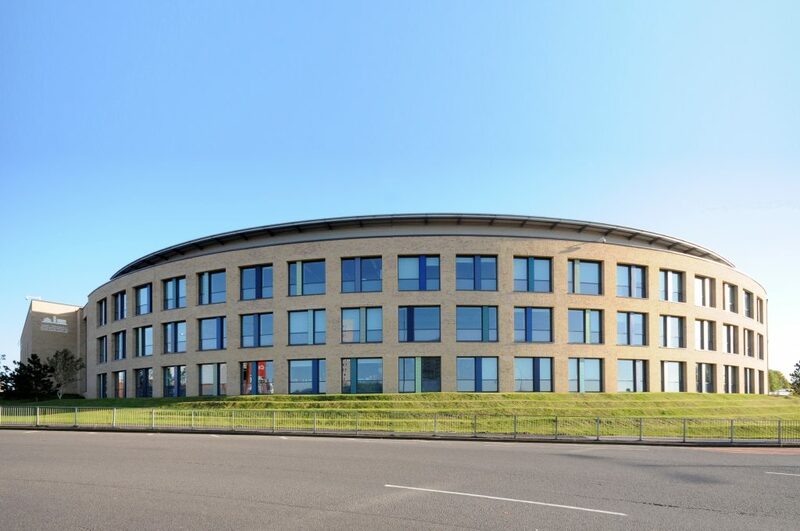 Their offices were in Lime Grove. The arched sign for the Board can be seen next to the Methodist Church. 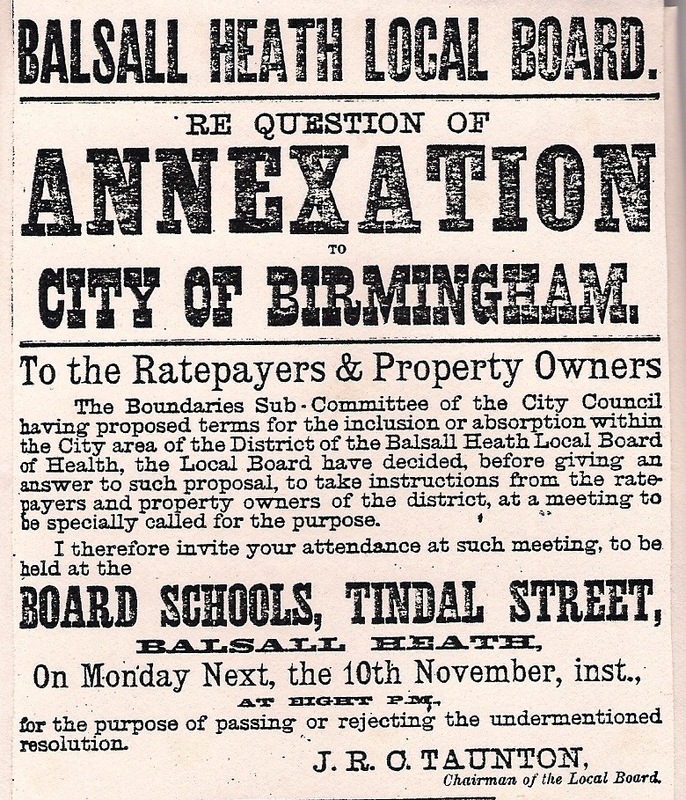 Balsall Heath now became part of the City of Birmingham, and in return was promised a new Library & Baths. 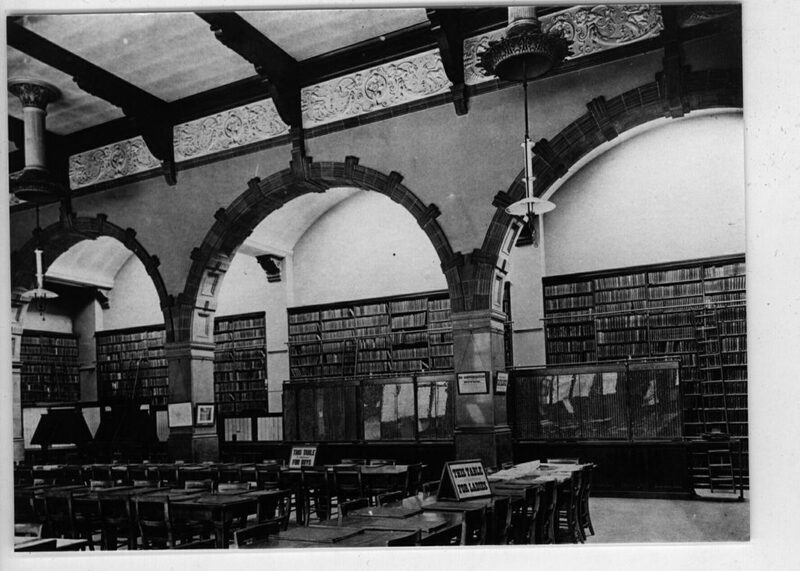 The Library opened in 1896 and stands today as a proud symbol of our rich heritage. 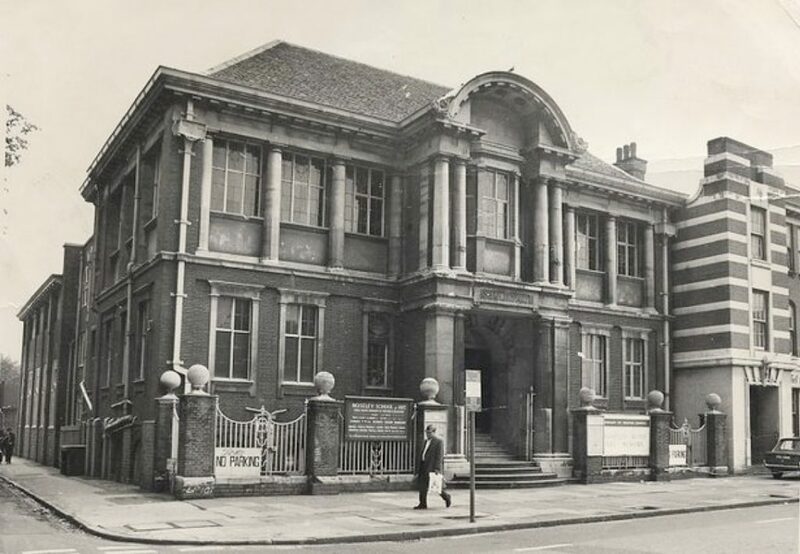 At the time the School of Art opened in 1900 Moseley Road was already impressive with more lovely buildings still to come. 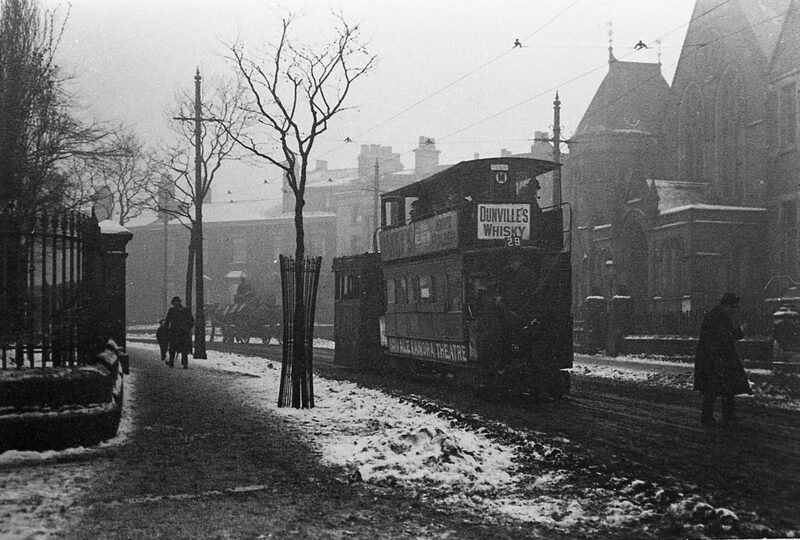 New electric trams in 1907 with a depot on the corner of Trafalgar Rd. Butchers Transfer Works , 1909 This had a close connection with the School of Art as many ex pupils went on to work here. 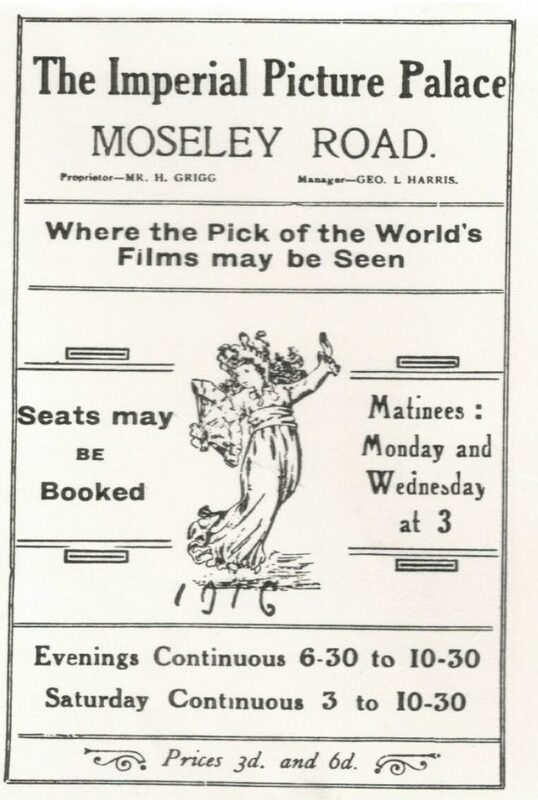 Cinemas opened from 1912-the Triangle in Gooch St and The Imperial on the Moseley Rd were two of the first. 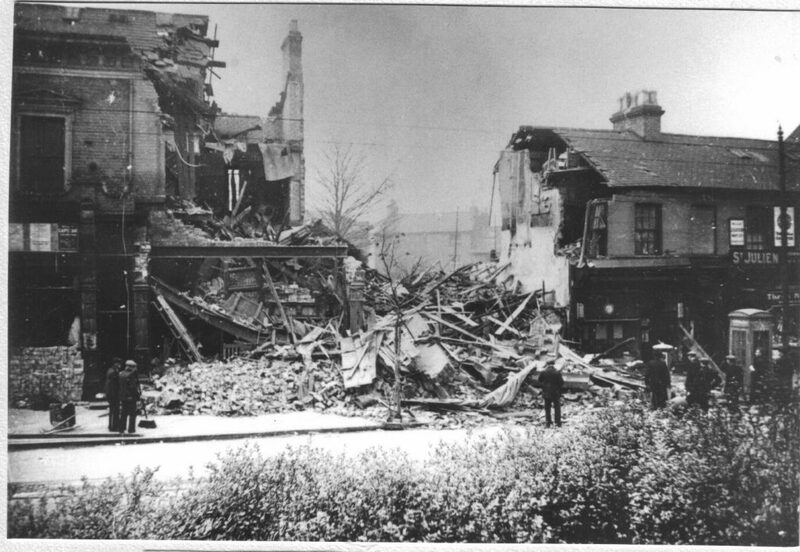 This was a flourishing and hard working neighbourhood. Children from local schools were evacuated and there was rationing both of food and clothing. 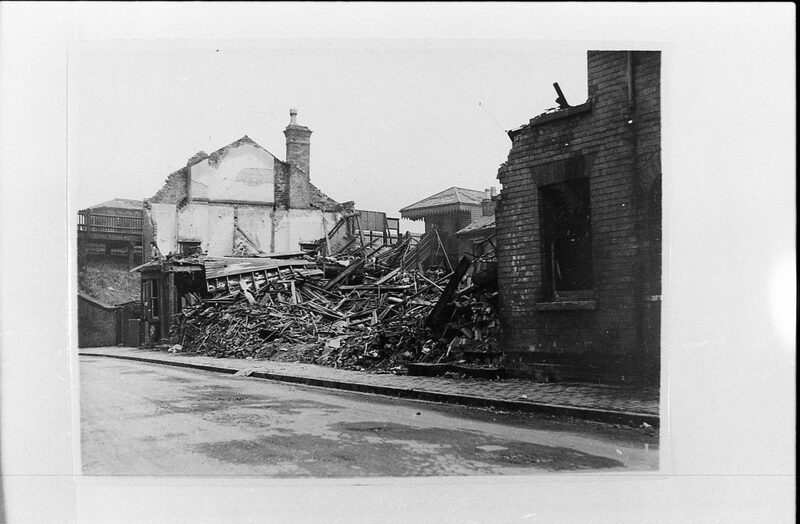 A lot of men from Balsall Heath went off to fight but those who stayed here as ARP (Air Raid Precautions) or Home Guard, also had a lot to face as the bombing began. 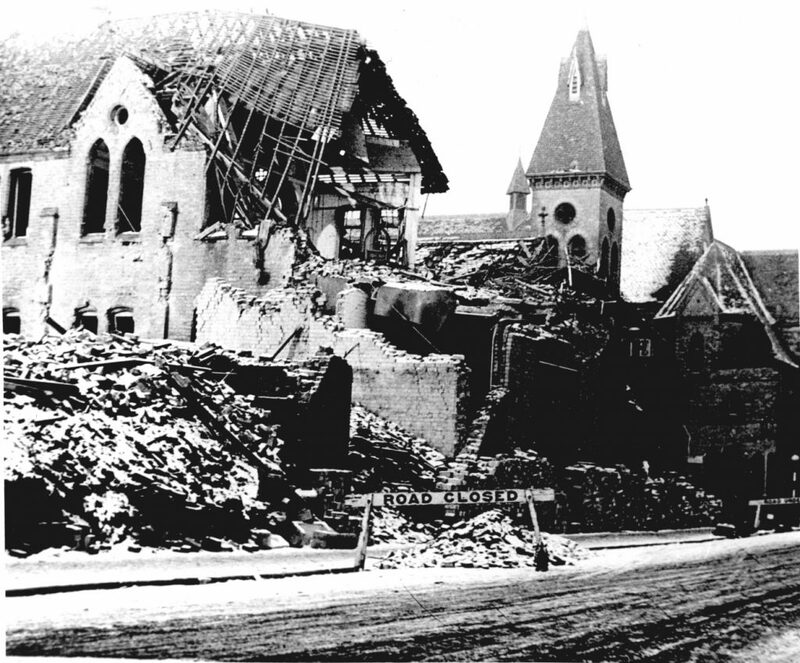 After the war, reconstruction was slow and priority was given to the city centre. 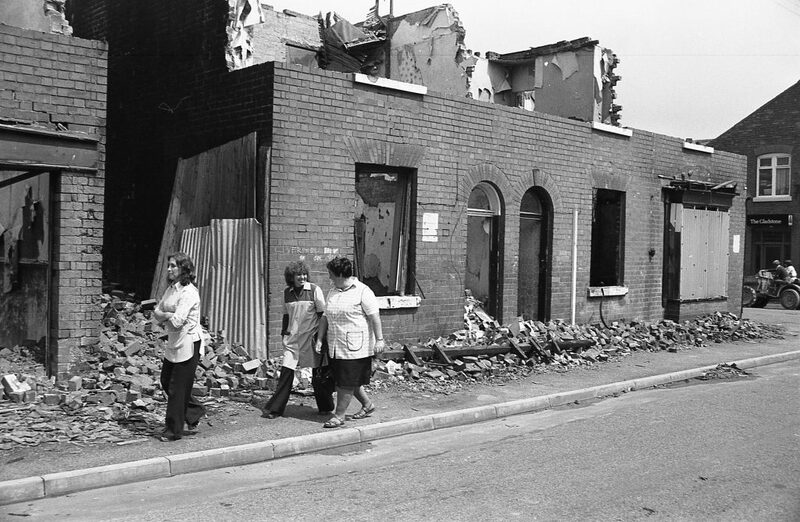 Bomb sites were left for years inadequately cleared and the housing stock fell into terrible disrepair. Some redevelopment was started in the 1960s in Highgate & the Benmore estate. 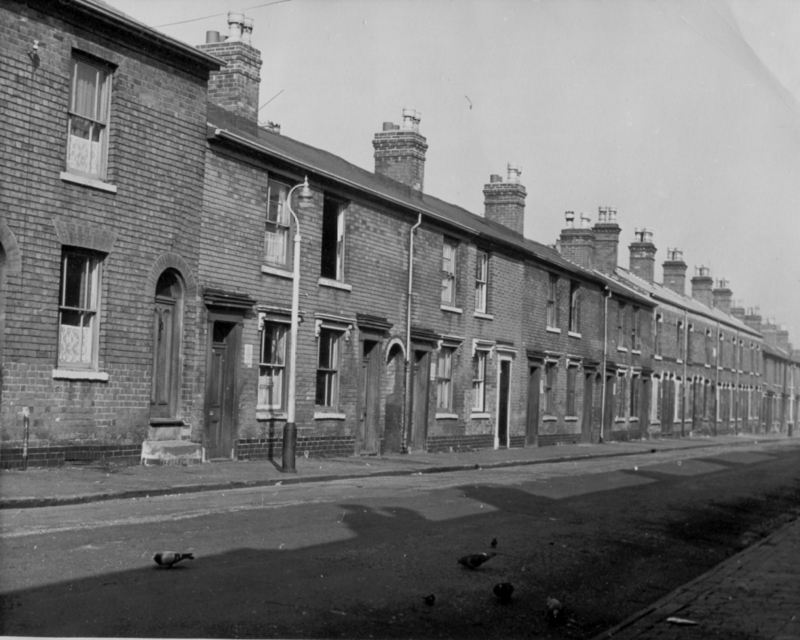 By now Balsall Heath had hit an all time low with high unemployment, appalling housing conditions, high crime rate and a reputation as the City’s red light area for prostitution. 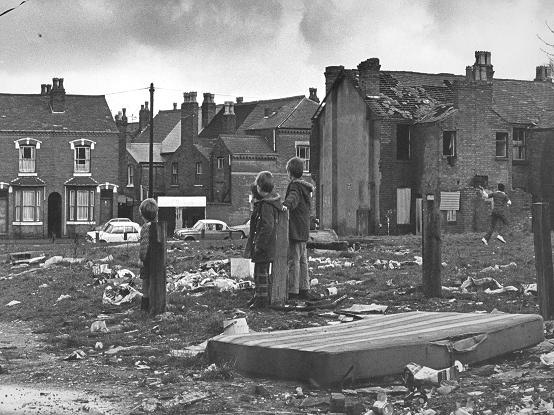 A new programme of Urban Renewal began in the 1970s but many people thought it was worse than the bombing raids. 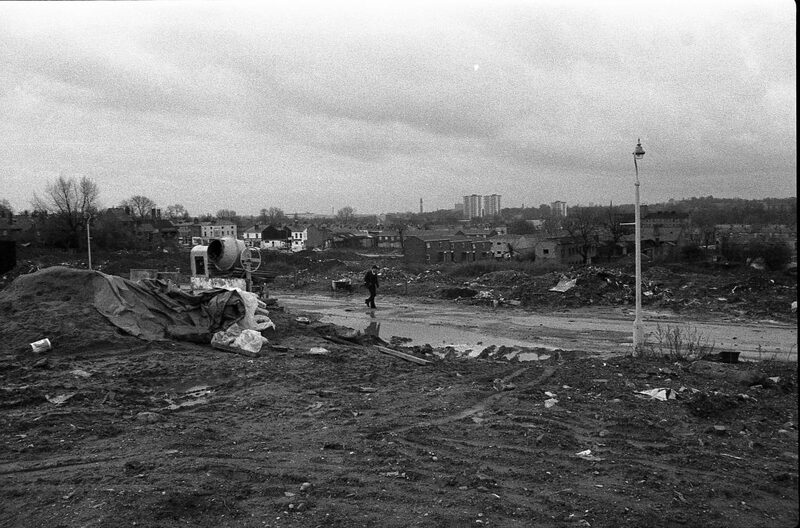 Huge areas of old Balsall Heath were demolished and the existing population rehoused chiefly in outer ring areas. 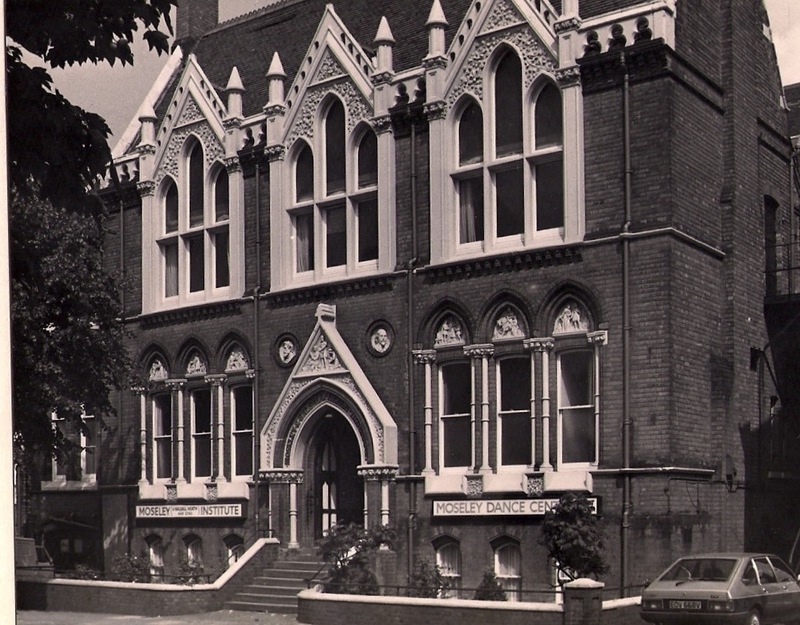 1975 saw the closure of the renowned Moseley School of Art. 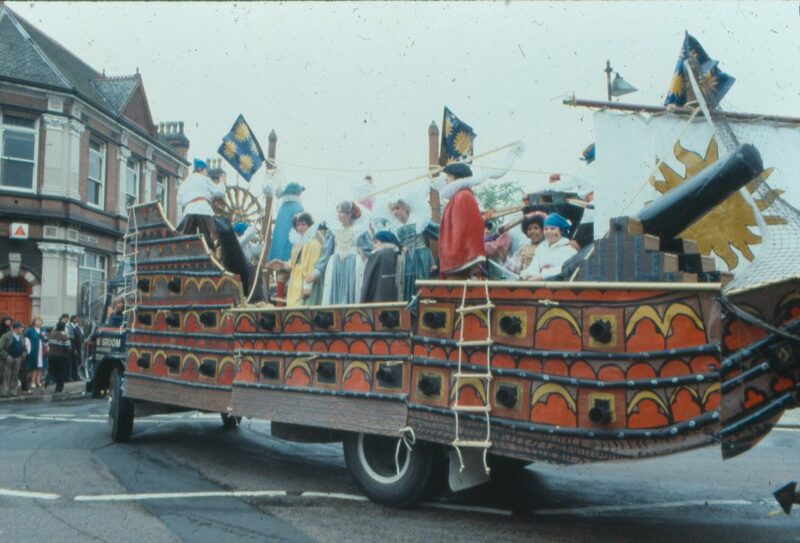 However, there were also new developments: beginnings of St Paul’s Project ( later Trust) in 1970 ; the first issue of the Balsall Heathan newspaper in 1973, Balsall Heath Carnival started in 1977. 1980s to 90s A turning point. 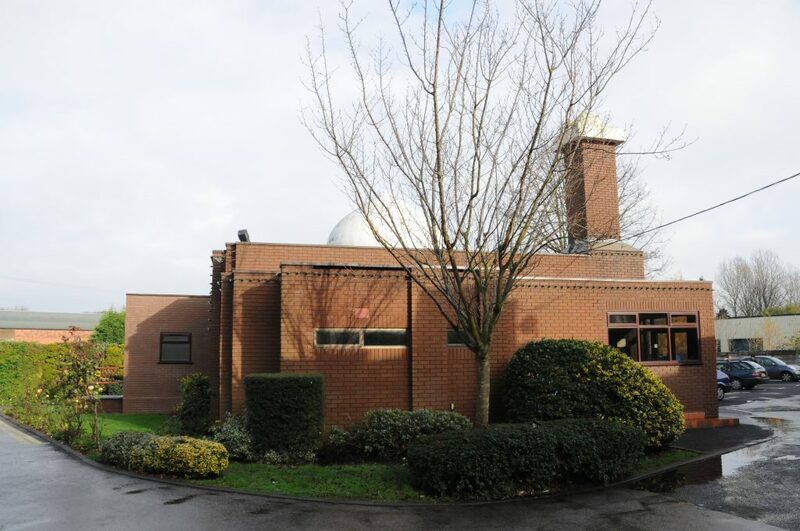 The old School of Art was purchased by the British Association of Muslims in the 1980s. 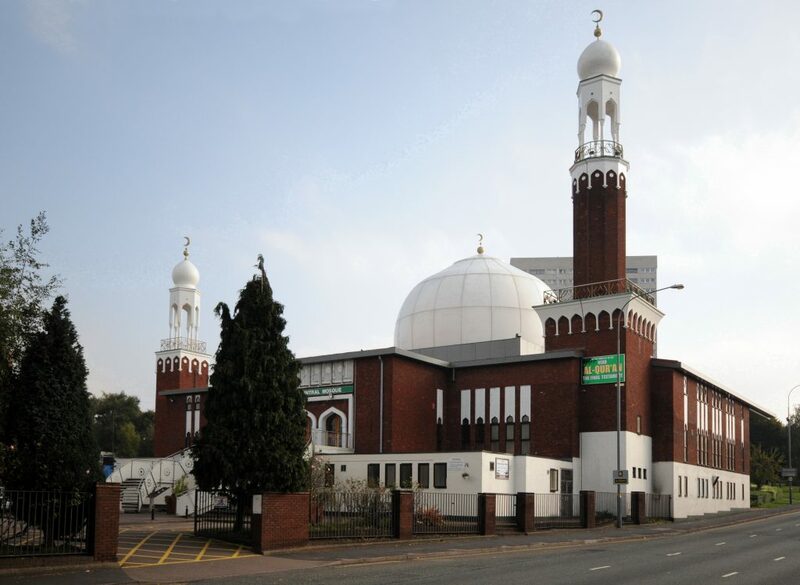 1982 brought the opening of the Clifton Rd Shia Mosque and Balsall Heath Health Centre. In 1992 Balsall Heath Forum started. The area began to improve. 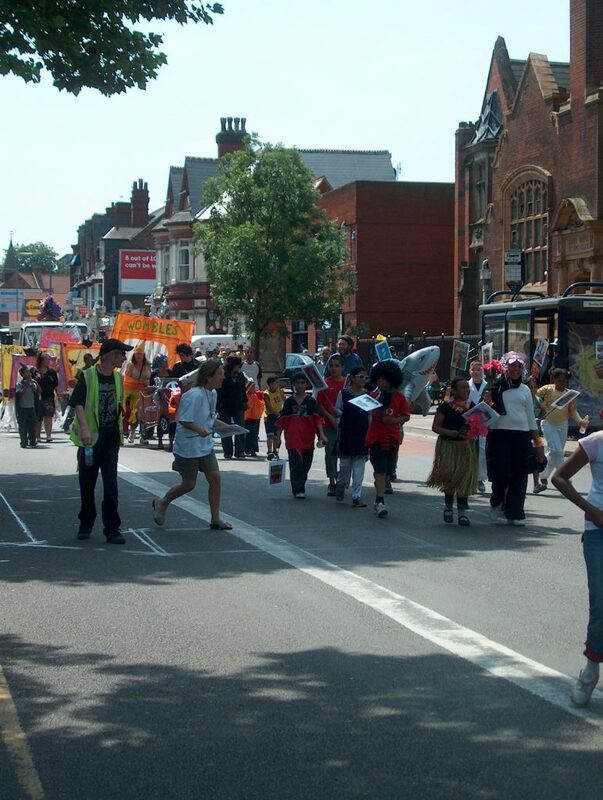 Balsall Heath Carnival moved to a walking only procession from 2007 and has only taken place once since 2016. 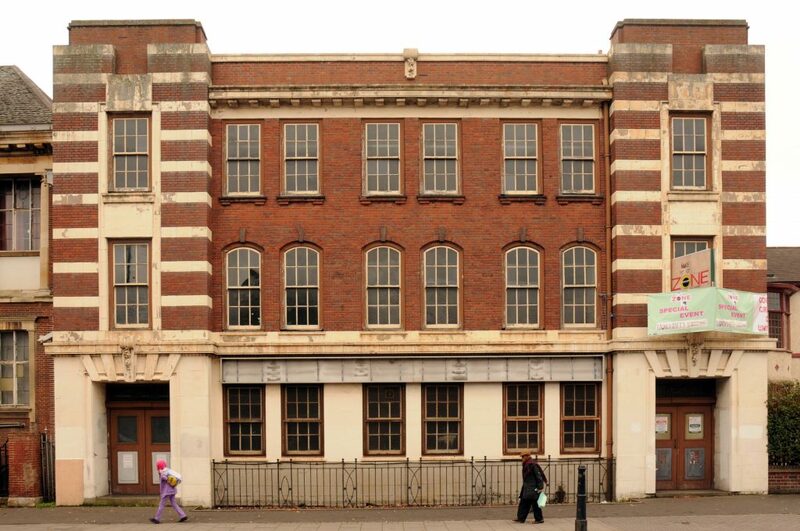 Most of the heritage buildings on the Moseley Rd have survived, turned to different uses and reflecting the needs of a vibrant and diverse community. 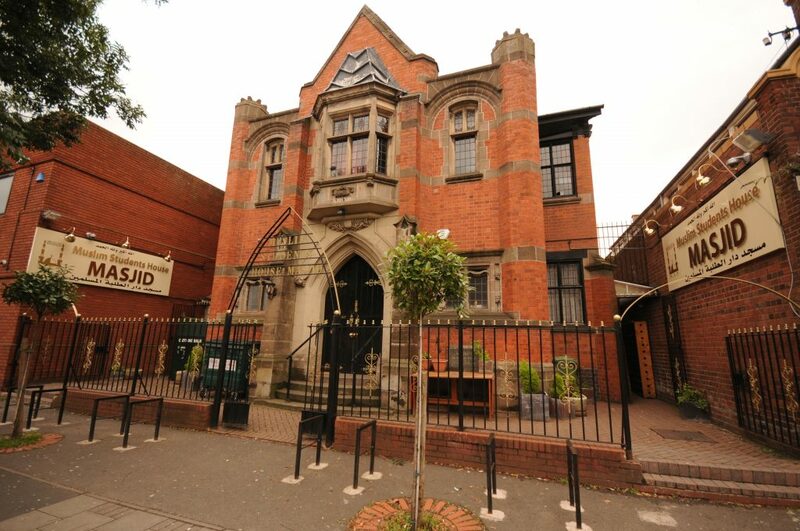 The Moseley Community Centre is the first of the older buildings to be restored to its former glory. 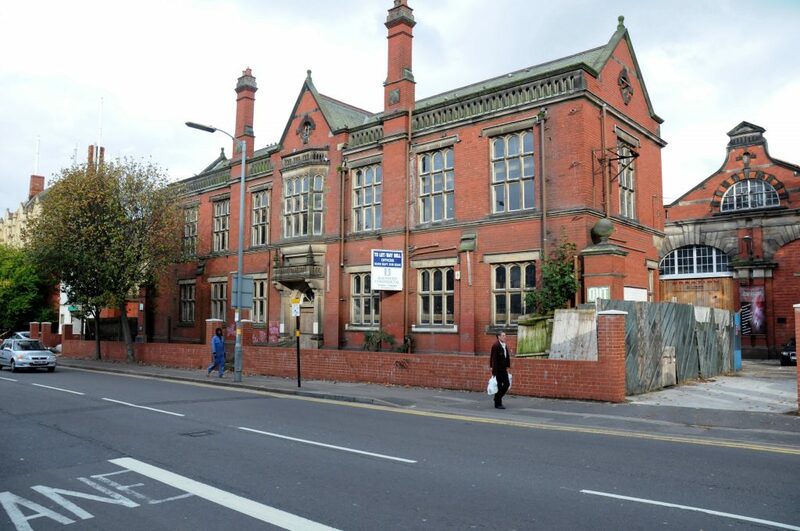 The Neighbourhood Plan was approved by public referendum in 2015 which included proposals for a railway station reopening for Balsall Heath as well as providing protection for our magnificent heritage buildings.